This is not your magical, light and fluffy Rapunzel retelling! Reign of Shadows is dark and creepy and intense and so unbelievably exciting. Luna, the lost princess of Relhok, has been sequestered in a tower with her guardians for her entire life to protect her from those who would do her harm. She’s the rightful heir to the throne, and the current king is making life miserable for the members of his kingdom. The land is also ruled by evil creatures (dwellers) who delight in killing anyone who crosses their path. While exploring one day, Luna stumbles across three people and saves them from a pack of dwellers and brings them back to her tower. These are the first strangers Luna has ever met. One of these people is a handsome archer named Fowler, who captivates and excites Luna. Due to circumstances beyond their control, they set out on a journey together in search of a safer place to live. As they journey together across a barren, dark wasteland that has been ravaged by the dwellers, they learn to depend on one another. Together they have a unique set of skills that aide them in heir survival. I liked both of these characters a lot. Luna is so sheltered and comes across as being very helpless, but she has spent her life developing and refining her ability to survive. She’s unassumingly strong and courageous despite her lack of exposure to the world. She’s able to trust in spite of the murder of her parents, and she’s able to love regardless of the fact that he family was ripped away from her as a baby. Fowler is damaged and has hardened himself in an effort to avoid more pain. Those he cared about are long gone, and it’s easier for him to be alone than to risk losing someone he cares about. He has no interest in being a part of Luna’s life, but he also has this deep sense of loyalty and honor even though he doesn’t really owe anyone anything. I liked that about him. The romance is pretty swoony, and very slow building. 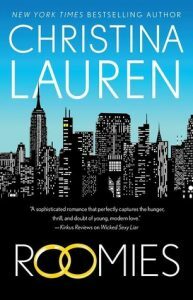 I like romances that take a long time to develop, though, so I was totally on board with this one. I also like romances in life or death situations because there’s a lot of tenderness and need in addition to pure trust and dependency on one another. I don’t want to say too much and spoil the book for anyone, so I think I’ll leave it here. Reign of Shadows is filled with little story elements that made it unique from the original tale of Rapunzel. I’ve always loved Sophie Jordan’s writing, so I had a feeling I’d enjoy this book. I listened to it on audio, which was very well done. All in all, I really loved the story. I’d really been looking forward to Everless. The cover is pretty cool, the premise sounded unique (although I recently watched In Time, so it’s less unique now. lol), and I’ve been on a bit of a fantasy kick as of late. Sadly, though, things fell a bit short for me and I wasn’t impressed. As always, my main points are bolded. 1. I tend to reserve the spot of my first book of the year for a book I’m really excited about. I’m not sure if that impacted my overall opinion of the book or not, but I had a lot of expectations going in. I was excited about it, it was going to be my first book of 2018, it was going to be my first debut of 2018, etc. It was a huge letdown. It is receiving rave reviews from readers, including many of my fellow book blogger friends, so am I missing something? I don’t even know, but I am seriously confused as to why I’m one of the very few people who did not like this book. 2. 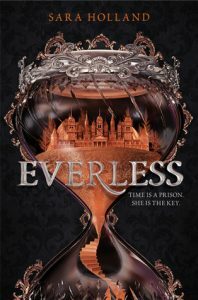 So… Everless is pretty much exactly like the movie, In Time. 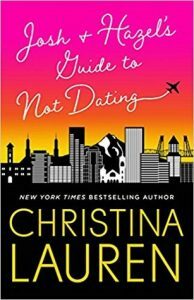 A Goodreads user asked how similar this book is, and Sofia Frost answered the question better than I could have. Possible spoilers below, so jump to point #3 if you don’t want to be spoiled! *Main character’s family members die, cause they run out of time. *Main character moves to place where rich and royal live. *Prediction: Main character would try to break the curse of blood and time- and make everyone equal. So… yes. Very similar to In Time. And I hated the movie, too. 3. Scroll back up and read the synopsis of the book. Sounds kind of cool, right? Well… think again. It’s depressing. This book was so depressing. Everyone is a ticking time bomb, not sure exactly how much time they have left. Unless they are rich, they live in an almost constant state of panic. I could never live in this world! I’d be filled with so much anxiety. I’d be scared to sleep. I’d be scared to read or watch movies because I’d worry I’d lose track of time. I’d constantly be worried I overestimated the time I had left and just fall dead one second. I’d never be carefree or happy. Even worse, I’d be scared to fall in love because I’d have to worry about someone else’s time, and not just my own. I’d be worrying about my family and my friends. How depressing is a life like that? Not only is the world depressing, but so is the backstory of almost every single character. Why did I ever think this was going to be a fun book to read? I read to escape to a happier place, and this book needs escaping from. I’ll take my real life, thanks. 4. Jules comes from tragedy. But did it make her smart? Did it make her strong? No. She fell in love with a boy when she was 7 while working for his family, his family ruined her life, she sneaks back to their estate to make blood-irons to help save her dying father even though he’s super against it, and she still has a crush on this boy. I’m sorry, but at 17-18 I didn’t know who I had a crush on 10 years prior, and I’m pretty sure I wouldn’t still have a crush on him. Especially after his family ruined my life and the lives of others I care about. Nope. 5. The romance…? It was barely there and added nothing to the story, but I see where things are going. No. I’m not at all on board. There’s no swoons, and I really don’t like the guy. Maybe there’s going to be a love triangle and the guy I preferred will end up with Jules, but I probably won’t ever know. 6. Something very Hunger Games happens (and not at all in a good way), and it’s totally spoilery for both this book and The Hunger Games series, so highlight the white space between the brackets if you’re curious. Needless to say, I was pretty furious. If you’re reading via email subscription or RSS reader and you don’t want to be spoiled for either book, jump ahead to point #7 because my whited-out text will only hide the spoilers if you’re reading on my blog. You’ve been warned. 7. That was a much longer rant than I thought it would be, but I get madder and madder the more I think about this book. Jules is a wimpy idiot of a character. She has no street smarts, no brain, no fight in her. She has no personality whatsoever. I spent so much of the book yelling at her. By the end of Everless she has not grown at all, and I’m too exhausted to read another book so she can try to prove herself to me. And let’s be fair… every characters was flat and shapeless and boring. I wanted to smack them all. 8. So much of this plot was driven by miscommunication and pointless secrets. If the characters would just TALK to each other instead of waiting for everyone to figure it all out and find the answers themselves everything would have resolved on its own! Jules’s dad comes to the estate to warn her and instead of actually warning her in a way that makes sense he spouts out a bunch of mumbo jumbo that would have only made sense to Jules if she had already known what he was talking about. They say mankind is getting suckier and suckier at communicating with one another due to social media and texting, but these characters have neither. So what’s their excuse? When the fate of humanity rests on a teenaged girl, don’t you think the guy with all the answers could at least give them to her? That’d be too easy, though. Then we wouldn’t have a trilogy. 9. The characters and the world were underdeveloped. There was nothing keeping me there except my desire to actually finish a book so I didn’t start out the year already behind on my Goodreads goal. 10. This might be the most critical piece of my review… but the writing just wasn’t good. And I feel so bad for saying that. It’s easy to not like a story. We all have our likes and dislikes, and that’s widely accepted. All authors know that the story or the characters or the world, etc. that they wrote will not be loved by all. But I always feel so horrible for saying I didn’t like the writing because that removes the story completely and has to do with the actual words instead of the details. But I just didn’t like the writing. It wasn’t memorable or filled with pretty details. There were no quotes I highlighted to save and re-read later. All in all, I could not get past the fact that this felt like a copy of the movie In Time. Immediately I started looking for all the similarities, which just frustrated me to no end. And I really think that if it had been amazing I would have been ok with those similarities. I hated the movie, so it would not have taken much for me to like it more. lol. But I just didn’t. It was depressing and underdeveloped and frustrating. I’m sorry to say that I would not recommend it to anyone, unless they were looking for In Time fanfic… and is that even a thing? 1. I wasn’t too excited about reading a Christmas book that takes place in California. I lived in California for 6 years and it’s a beautiful place, so this isn’t personal, Californians! I just love snow in my Christmas novels, and that obviously was not going to happen here. Colbie is nuts for fleeing New York at Christmas, but I digress. 2. The lack of snow didn’t take away from the festiveness of the book, though! There were Christmas lights and enough warm fuzzies to make me forget that there wasn’t snow swirling around outside. 3. Colbie is a verrrrry successful YA author, and that’s the main reason I was drawn to this book! I love YA, and I love many YA authors, so Colbie immediately felt like my friend. I thought of her the way I think of any of my favorite YA authors. She’s so sweet and down to earth, not to mention incredibly nice. She’s dealing with writer’s block and she’s under a ton of stress from that, plus the fact that her entire family depends on her for every little thing. I love that she took the plunge and ran away to take care of herself. She’s also really funny and has this bright personality that made me smile. I would totally be friends with her. 4. I loved nerdy Spence. He’s a hot, rich, reclusive genius. But he’s not rich in a snobby way. He takes care of a homeless man that lives outside the building! He keeps to himself and lives his own life, and when he needs a breather he walks dogs! I mean, come on. He’s a bit of a workaholic, which has sealed off the part of himself that can have a love life. But all it takes is the right girl, right? 5. I love how Colbie and Spence meet for the first time. The description mentions a meet cute, and that’s exactly what we were given with this book. I’m not even going to say how it happens because I don’t want to spoil it. Just know that a dog is involved. 6. 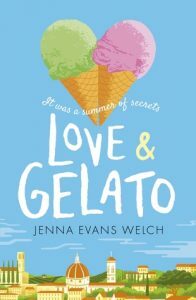 The romance is very sweet, regardless of the secrets they are both keeping from each other. 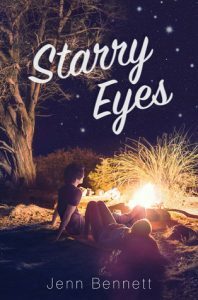 What was supposed to be a quick little fling turns into something more than that, and forces Colbie and Spence to smooth out some of the wrinkles in their relationship. 7. I liked the supporting characters a lot, but can tell it would have really been great if I’d read the other three books in the series first so I’d know them a little better. The book works fine as a standalone, but I could have used a few more details on Spence and Elle especially. All in all, this was a very fun Christmas romance! I loved watching Colbie and Spence fall in love and work through what being in love means to them. I’m definitely a fan of Jill Shalvis, so yay! It would have really sucked if I’d come out of this hating her and already owning a million of her books. I’m excited to read more of the books in the Heartbreaker Bay series and then start working on Lucky Harbor! 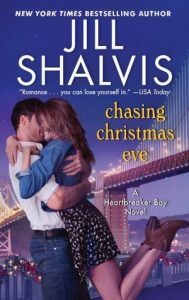 Which Jill Shalvis book is your absolute favorite?